In the last two days, the CRS has inspected the BG line from Lumding to Badarpur and Silchar. It is understood that this route will be opened for passenger traffic shortly. It has been a particularly tortuous conversion (even worse than that of Hassan-Mangalore) which has stretched on since 1997. Various acts of terrorism (including attacks on trains as well as construction sites), heavy monsoon rains as well as apathy from various Central governments did not help either. Here we see the distance tables for the BG and MG lines. Note that there is a completely new alignment in the central portion, bypassing Haflong and its circle round the hill. A total of 16 km has been reduced. Some stations have been left out while new stations have been added. These are marked in bold. Important note: As of May 2017 the old alignment is no longer shown on Google Maps. Only the new alignment is shown. Another odd point is a station with the typical North Indian name of Kalachand, among exotic names more reminiscent of East Asia. At the time of writing there is no service between Badarpur and Karimganj (which is still under conversion), while one pair of MG passenger trains are running between Karimganj and Agartala. 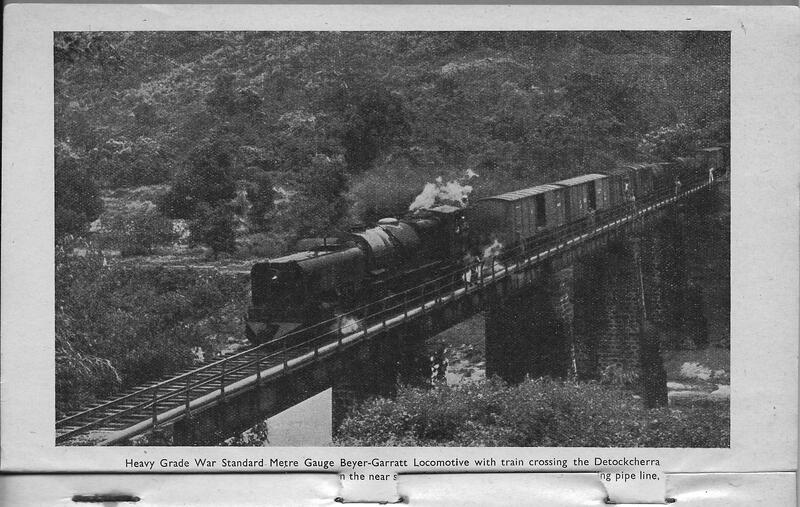 The full caption reads: …crossing the Detokcherra Bridge on the Bengal Assam Railway. The pipeline on the near side of the bridge is the Chittagong-Lumding pipeline. 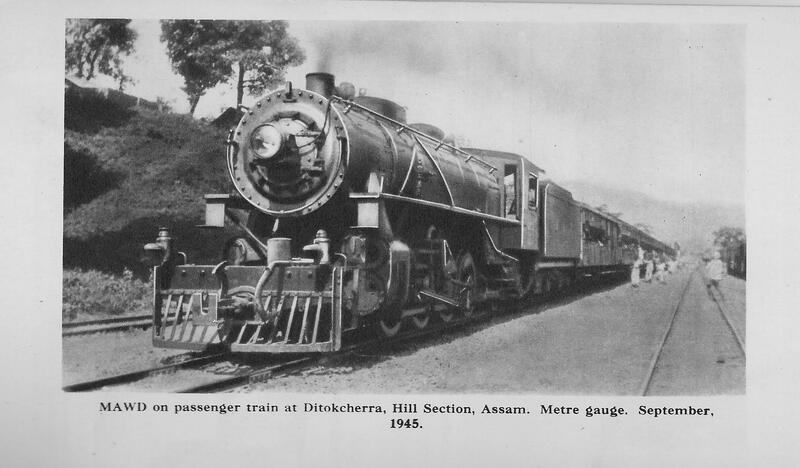 These pictures are from a book “Line of Communication” by John Thomas (1947) which gives a comprehensive picture of railway operations east of Calcutta during the war, when most of the running was taken over by the US armed forces. At that time the old stalwarts the Eastern Bengal Railway and the Assam Bengal Railway had been merged into the Bengal & Assam Railway for the purpose of better coordination in wartime. There was plenty of reorganization again in 1947. I will cover more about the earlier history later. Good analysis, Ajai. 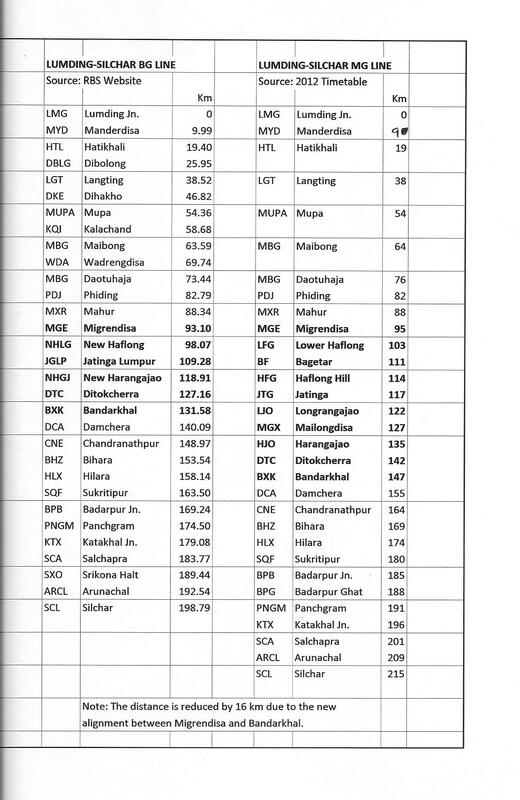 Although I have not studied this gauge conversion in as much detail as you have, could you check and tell how many BG stations are actually commissioned? What is RBS website that you refer to for BG distance table? As I understand, the services were to be launched here on 1st April 2015. Did the freight trains actually start then? By the way, Badarpur Karimganj does not have a service because the Badarpur yard was taken up for yard remodelling (BG). Due to the new layout, MG services could not be operated there. Badarpur Agartala section is planned for gauge conversion from October 2015 to March 2016, along with a few other MG spurs which are left over. We will know which BG stations are functioning once the timetable for passenger services starts. The RBS site would be http://rbs.indianrail.gov.in/ShortPath/ShortPath.jsp Freight trials were done around April though I am not sure how regular the services are. I do look forward to travelling on this line. As you may know our batchmate Ravi Kochak was ADRM at Lumding for a while.